Alligator flags (Thalia geniculata) are pictured near the water. Dwarf bald cypress trees are pictured in the distance. 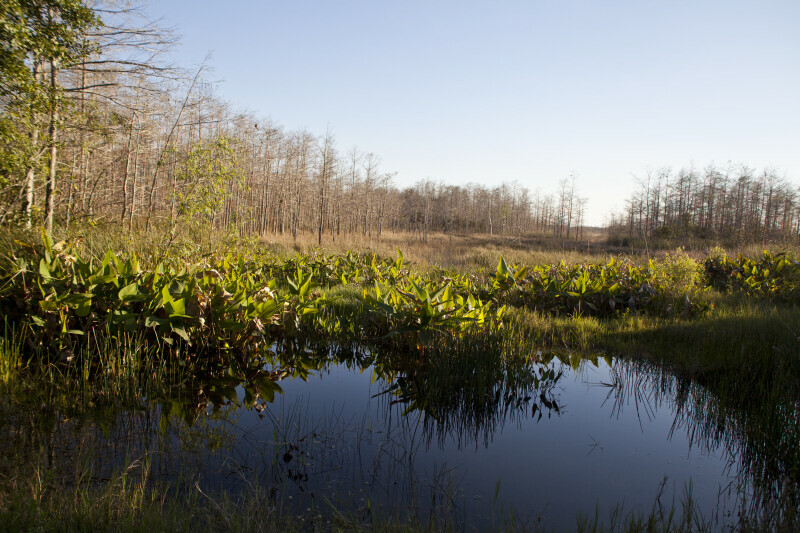 This photo was taken at the Big Cypress National Preserve.